The new 2013 BMW 3 Series has received a coveted award as it keeps adding plaques to hang on the wall. Automobile Magazine has given the compact sports sedan the highly coveted 2013 All-Star award. As it moves into its 36th year of production, the 3 Series is arguably the best compact sports sedan in the world and this new award backs that up. And there are over a dozen of these sought-after awards in the 3 Series trophy case since its launch in 1977. It continues to get better every year. It’s not easy to stay on top with all the competition out there in the compact sports sedan class. But BMW has stayed true to what got them to the top with the 3 Series. The BMW 3 Series has consistently delivered on the brands promise that the car is “The Ultimate Driving Machine.” For the 2013 model year, the 3 Series offers a wide number of models for buyers and is available as a Coupe, Convertible, and Sport Wagon. The cars all share “the common theme of traditional BMW values,” which are responsive engines, compact dimensions, a near-perfect 50/50 weight distribution, and a driver-connected feel to the road. All variants also come in two-and all-wheel drive configurations. The newest award from Automobile Magazine isn’t the first award for the 2013 model year. The compact sports sedan also received Car and Driver 10 Best Cars list again for 2013 and received its fifth most tradition-steeped and renowned automobile prizes in Europe, the 2012 “Golden Steering Wheel” award. The 3 Series has also won this award more frequently than any other car on the market. It has consistently remained the “best in the business” year after year. For performance enthusiasts, BMW offers the fire-breathing M3 Coupe and Convertible. The M3 is powered by a 4.0-liter, 414 horsepower V8 and represents the best performance that BMW M GmbH has to offer. The high-performance car will launch from 0-60 in 4.6 seconds and is one of the most exhilarating cars to drive on the planet. Most current 3 Series models are available with a six-speed manual gearbox, making them all driver’s cars. The BMW 3 Series is an icon for the German automaker and remains to this day the quintessential BMW. 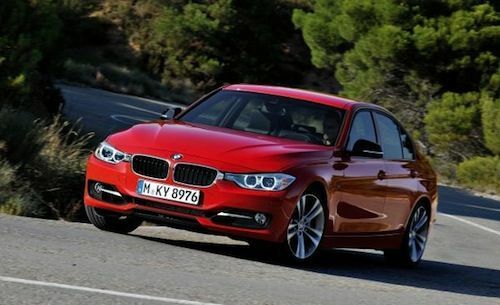 The 2013 BMW 3 Series is the most important product line for BMW and the benchmark for its class.